Gauteng police arrested five people in connection with public violence during Monday’s violent protests in Ennerdale, south of Johannesburg. Residents of the area barricaded roads with burning tyres and torched a mobile classroom at the Oakland Secondary School. It's understood that the residents are demanding that the Gauteng education department improve school infrastructure. Police spokesperson Kay Makhubela says officers fired rubber bullets and stun grenades to disperse the crowd. 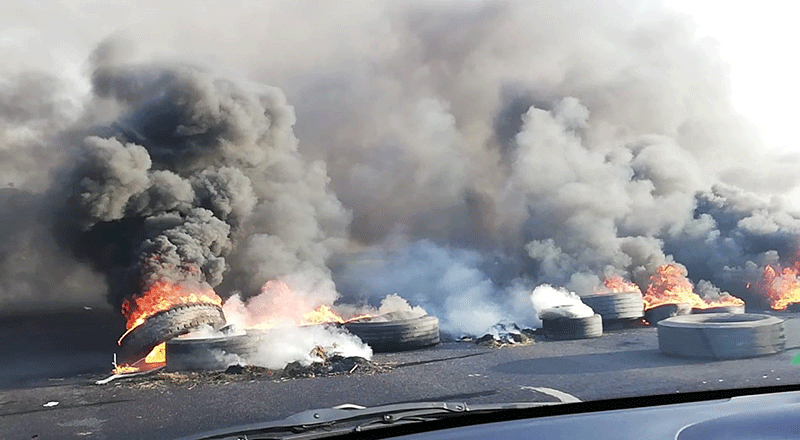 "Community members have been protesting since early in the morning, police have been trying to talk to them not to barricade the road, but the community continues to be on the road and police have to use rubber bullets and stun grenades to disperse them. Meanwhile, police are also montioring a protest at Rabie Ridge in Midrand. Gauteng police spokesperson Mavela Masondo said about 200 people were blocking the Modderfontein road , throwing stones at motorists. Masondo explained that they had to use rubber bullets to disperse the crowd. "Police had to use rubber bulletins to move them away from the main road , there are people that were arrested for public but the extent number cannot be confirmed at this stage. "Police are still monitoring the situation that is tense at the moment , " Masondo said. The reason for the protest is understood to be about land invasions in the area.